Some of my clients have heard me refer to “closed-chain” and “open-chain” kinetic exercises (kinetic relates to movement or motion). The “chain” I’m referring to is the kinetic chain of the body. All of your bones and muscles are connected in a chain; therefore the movements you make are also part of that kinetic chain. Do you remember the song “Dem Bones” from your childhood? It’s true! Our bones, tendons and ligaments are just a series of connected links in our human chain, which is powered and pulled by our muscles. In a closed chain, the end of the chain farthest from the body is fixed. A good example is the squat, in which your feet are fixed on the floor and the rest of the leg chain (and torso) moves. In open-chain exercises, the end is free, such as during a seated leg extension. During open-chain exercises, your hand or foot is free to move, such as when performing a triceps extension or a hamstring curl. These types of movements tend to isolate a single muscle group and a single joint. In an open-chain movement, the end of the chain farthest from the body — usually the hand or foot, and referred to as the “distal aspect of the extremity” — moves freely and is not fixed to an object. When weight is added to an open-chain exercise, it is usually placed at the distal portion of the limb, such as the hand or foot. Examples of open-chain exercises include chest presses, biceps curls, leg curls and leg extensions. In the closed chain, movement at one segment produces movement at all the other joints. For example, during a squat, the movement at the knee joint is accompanied by movement at the hip and ankle joints. In essence, closed-chain exercises work multiple joints and multiple muscle groups at once. During closed-chain exercises, your hands or feet are in a constant, fixed position (usually on the ground), such as when performing pushups. In a closed-chain movement, the distal end of the extremity is fixed, emphasizing joint compression and, in turn, stabilizing the joints. As a result, closed-chain exercises are safer for your joints—especially the knee joint—because the force involved is compressive, meaning it actually stabilizes the joint and helps to strengthen it. In contrast, open-chain leg exercises — such as knee extensions or hamstring curls — produce shear force, which stresses the knee joint (and the ACL) and are more likely to result in injury. I typically refrain from having my clients use the knee-extension machine. This movement is performed with the thigh fixed to the machine, and the force generated by the quadriceps moves the tibia (shin bone) across the femur (thigh bone). 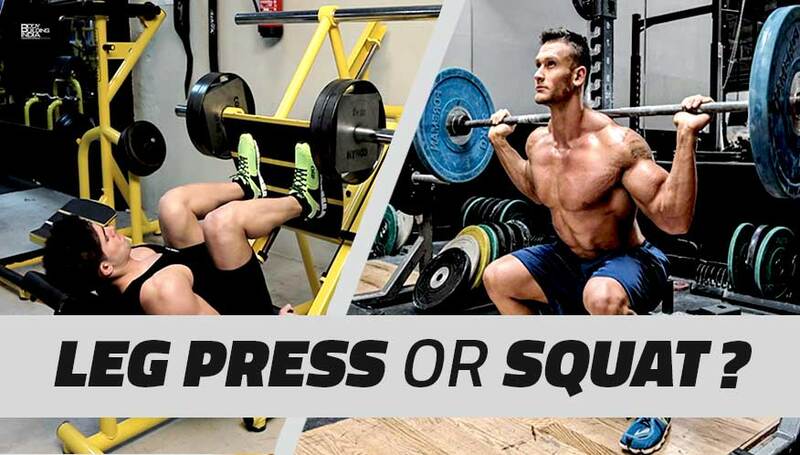 I prefer the squat — a closed-chain exercise — in which the trunk, hip and knee extensors act as prime movers, moving the femur across the tibia, which (along with the foot) is the fixed distal segment. The squat is a safer, more real-world exercise, since it better stimulates motor recruitment patterns of the central nervous system (CNS), compared to the knee extension. This is not to say that open-chain exercises are neither safe or useful, because they often are. Some therapists will use open-chain exercises for rehabilitation and these exercises are also ideal when training for a sport that requires the use of open-chain activities, such as throwing a ball. I employ both open-chain and closed-chain exercises in my training sessions, but there is no doubt that I favor the closed-chain variety. Closed-chain exercises work many muscle groups at once, which means that you can get more return from the energy expended. Closed-chain exercises also better mimic activities of daily living, which means they improve your “functional” fitness. They’re also great for athletes because sports require the movement of multiple joints and muscles all at once. Open-chain exercises isolate joints and muscles in a way that is uncommon in many athletic movements or daily activities. Examples of closed-chain exercises include pushups, pull-ups, squats and lunges, all of which can be done with or without added weight. If an athlete, for example, uses an open-chain leg press in attempt to develop explosive strength for sprinting, they will never achieve optimal performance using this alone. However, alternating between open and closed-chain exercises serves to more fully develop both the CNS and the musculature due to the variety of recruitment patterns needed. An example would be performing both squats and leg presses, pull-ups and pull-downs, and/or pushups and chest presses, in the same workout. A variety of movements and exercises will achieve the best results, but the closed-chain exercises should comprise the bulk of your workouts.